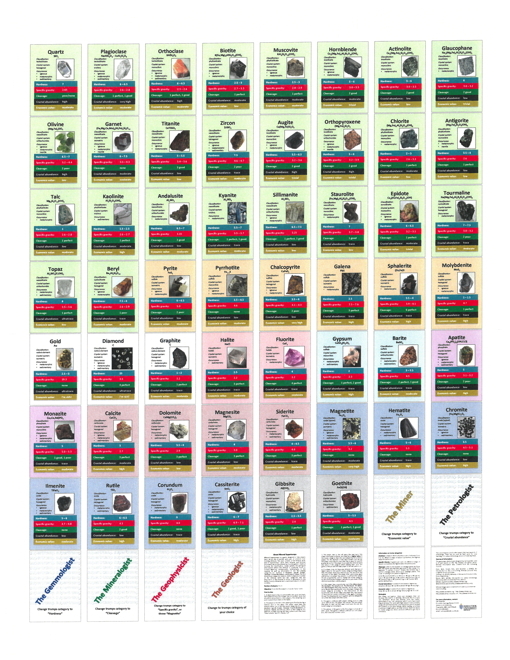 Mineral Supertrumps is a game designed by Carl Spandler (2016) to help players learn about the properties and uses of economically-significant and common rock-forming minerals. The pack consists of 54 mineral cards and 6 “supertrump” cards. 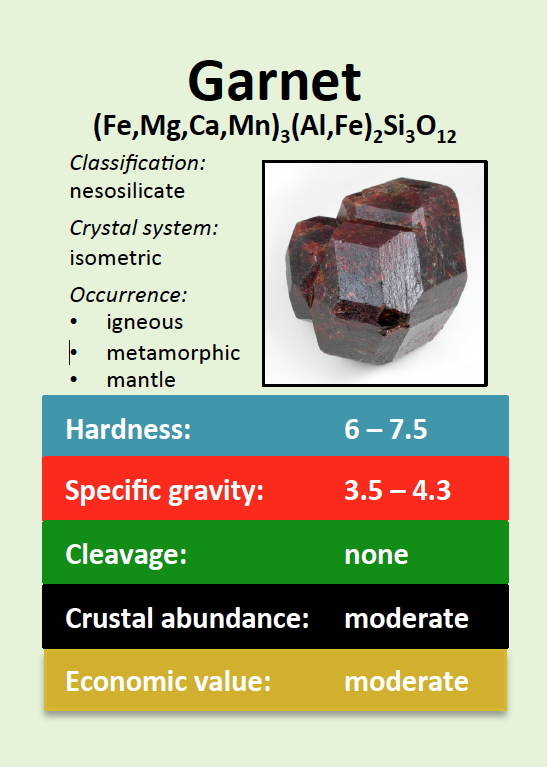 Each mineral card includes information about the mineral such as the generic chemical formula, the classification, crystal system, the geological environment where the mineral is commonly found or formed (igneous, metamorphic, sedimentary, or the mantle), as well as information in the five playing categories (or trumps) of Hardness, Specific Gravity, Cleavage, Crustal Abundance, and Economic Value. The first three trump categories relate to distinct physical properties of the mineral, while last two categories rate the importance of the mineral in terms of abundance in the Earths crust (continental and oceanic) and value to modern societies. The cards are also color-coded by mineral groups: silicates = light green, oxides = blue, sulfides = orange, carbonates = light brown, phosphates = purple, sulfates = light blue, halides = pink, native elements = white.